Cerevo, an Internet connected consumer electronics manufacturer based in Tokyo, Japan, will be demonstrating its robotics products featuring “Moving, Talking and Synchronizing 1/8 scale TACHIKOMA” – a smart toy replica of the AI robotic weapons platform that appears in the animation “Ghost in the Shell”, and “Tipron” – the Transforming, Internet Connected Projection Robot at the biggest all Japan event in Asia, Japan Expo Thailand 2018. Japan Expo Thailand 2018 is a platform to promote Japan to the Thai market, with a goal to ensure Japan is positioned to encourage borderless trade of unique food, culture, business, fashion, tourism and entertainment with Thailand. At the same time Japan’s Cabinet Office will also run a series of “Cool Japan” stage events demonstrating Japanese charm and personality as well as cutting-edge technologies and services. Tipron was developed based on the concept to turn all the walls, floors and ceilings in your home into displays, providing a new experience for visual media consumption and it is available internationally at the Official Cerevo Store as well as Amazon. Tipron is a home robot that can automatically project an 80 inch screen from a distance of 9.8 ft (3m). He can move around your home by himself and project content such as movies, pictures and web pages on a wall, floor or ceiling. You can preset him to project when, where and what type of content you’d like to enjoy. 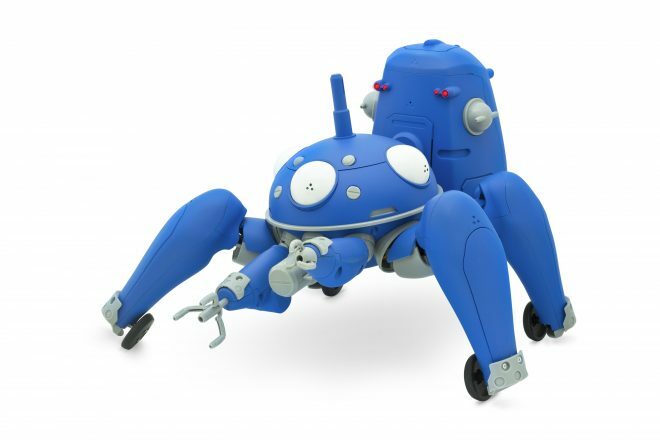 TACHIKOMA is fully mobile and can move around by it’s own robotic feet and wheels. Users can converse with it using the companion cloud-linked smartphone app. TACHIKOMA is a product developed by Cerevo and it is the first Ghost in the Shell product*1, with the perspective of the world of 攻殻機動隊 (Ghost in the Shell) S.A.C. that realizes electric mobility of each joint, pod, manipulator, and wheel. It features a speech recognition function that allows users to talk to TACHIKOMA in natural language, reproduces the “synchronization” ability between all other TACHIKOMA(s) and has a running function controlled via smartphone and you can watch its running at Japan Expo Cerevo booth. © Shirow Masamune ・ Production I.G/KODANSHA © Cerevo Inc.
Cerevo Inc. was founded in 2008. Cerevo is a small batch company focusing on making unique networked devices and connected solutions for both consumer and professional users based on its “Global Niche” concept. Cerevo’s products have been recognized globally and are sold in more than 65 countries. Report robotics, tachkoma, tipron. permalink.